Optimae Behavioral Health provides therapy, psychiatric medication evaluation and management, and skill-building supports in our central and southeastern Iowa offices. 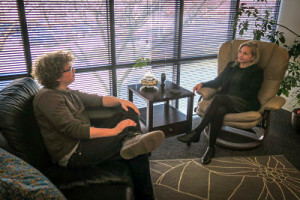 Our highly trained professionals, which include therapists and psychiatric prescribers, incorporate Optimae’s core values of choice, respect, teamwork and education into the services we offer to help children, adolescents, adults and families improve their mental health and create happier and healthier lives. Our services are strengths-based and positively oriented. To start services, contact the Optimae Behavioral Health office of your choice to schedule an appointment. You will fill out an intake packet including demographics, insurance, history and release of information forms (with staff support as needed) and have a first appointment with a professional to assess your needs and goals. Regardless of the therapy tools used, the center of our services is a caring relationship between Optimae staff and our customers based on our core values of choice, respect, teamwork and education. Optimae’s psychiatric prescribers can evaluate the need for medications and prescribe and monitor them. Our team includes psychiatric mental health nurse practitioners (PMHNPs) and physician assistants (PAs), who are supervised by a psychiatrist, as well as registered nurse support staff. Our prescribers’ main role is to evaluate and manage medications related to mental health. They may also provide brief therapy and/or refer to therapists for the counseling portion of treatment. In some locations, Optimae Behavioral Health provides additional skill and support programs, such as Wellness and Recovery Centers, Peer Support, Intensive Psychiatric Rehabilitation (IPR), Behavioral Health Intervention Services (BHIS) and Jail Diversion. For people managing serious and persistent mental illness, Optimae Behavioral Health collaborates with community-based Habilitation programs to provide significant additional supports.